When I started traveling, I wanted to go far and wide in the world without giving any attention to the countries that neighboured my home country, Saudi. The longer I traveled, the more I appreciated the Arabian countries of the Persian Gulf and all they have to offer. I find it sad when people completely ignore those countries and only focus on the UAE’s most visited city, Dubai. In this post, I will tell you about four more countries that you can consider on your next trip to the Gulf: Kuwait, Bahrain, Qatar, and Oman. You can even visit them all in one trip if you wish or one at a time. Kuwait is like the mini California of the Gulf I would say. It has a nice young vibe with a booming entrepreneurial scene. One of the cool things to do is to go to the Qout Market; a Kuwait based artisanal farmers market. It takes place on the first Saturday of every month. You will find a lot of gorgeous finds from local crafters and artists as well. If you are not going to be there during that time, you can try another more traditional market experience in Souq Al Mubarkiah. You can basically find everything there from meats to perfumes. This souq is truly traditional and has been there for decades. It is quiet earlier in the day but gets really busy in the evening. You can have dinner there too either from some of the street vendors or in one of the lovely restaurants around the market. If you are not feeling the traditional market vibes, you can head to their massive shopping malls such as the Avenues and 360. Another thing I really liked about Kuwait is their desire to collect and display the Islamic heritage of the region. You can visit Dar al-Athar Al Islamiyyah, which translates to the house of Islamic heritage. They have wonderful collections there that are worth seeing such as Al Sabah collection. There are also type specific art spots such as the Sadu House and the Tareq Rajab Museum. The Sadu House sheds the light on the traditional textile used by the Bedouins of the area known as the Sadu hence the name of the place, where the Tareq Rajab Museum is more about Arabic calligraphy and other fine art objects. Both will give you a deeper insight of the artistic heritage of the region. Kuwait is small and can be seen in three days. They have beach rentals that might be fun for you to see and try. 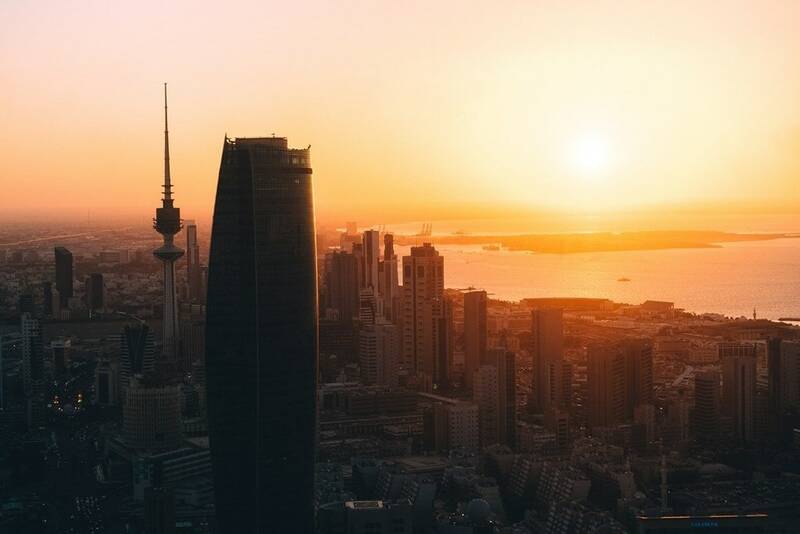 If you look up few Kuwaitis on Instagram, you might get more insight on what is planned during the time of your visit. Bahrain is the closest country to Saudi. When I was in Saudi, we used to drive to Bahrain frequently, and it only took us an hour and a half to be in their small capital, Manamah. The great thing about Bahrain is that it can be visited fully in one day. It takes two hours to drive all over the Island. It has always been the outlet for Saudis because they had all the things Saudi did not have such as Cinemas and racing tracks. Most people think that Bahrain is only good for beach days and shopping. While that is true, the little island has some archaeological sights such as Qalat al Bahrain and Arad Fort. If you are interested in superstitions, you can go see the oldest tree in the country called the Tree of Life. The drive is long and when I saw the tree I did not know that it was the oldest, so I just said cool and left. At least take a photo next to it if you make it! The architecture there is mostly modern with glass and steel buildings, but there are few traditional buildings that have remained in areas like Al Muharaq and around the Gate of Bahrain referred to as Baba Al Bahrain in Arabic. Qatar is also another small Island in the Persian Gulf, but they have done so well for themselves lately that Qatar has become a desired destination. Plus it is the home of the famous Qatar Airways, so if you are planning a trip from the USA or the UK to Asia, chances are you will be stopping in Qatar. It can be the perfect layover destination because it is achievable in one day. Although it might be better to stay there for a few days to fully enjoy what the Island has to offer. The word Island might give you tropical dreams, but it is not that type of Island. It is very built up with skyscrapers and it is continuing to improve. The traffic jams there might be long, so keep that in mind if you have a connecting flight and you are out and about there. There are a few highlights in Qatar that you can consider when planning your trip such as their fantastic Museum of Islamic Art. It is considered as one of the best Islamic art museums in the world. They run events and classes there too, so check their calendar before going. Another place with cultural and art events is the Katara Cultural Village. The buildings there are also interesting to see. Another highlight in Qatar is Souq Waqif and the Gold Souq within it. The Souq has a traditional vibe, but everything there is actually contemporary and newly built -for the most part-. If you are done with the main parts of Qatar, you can head to their small Banana Islands for some serious luxury and relaxation. Oman, in particular, is one of my favorite counties of this region. The beaches there are clean and accessible in most places. Most of them are sandy, although rocky beaches are there too. You can stop by while driving and go for a swim if you like. 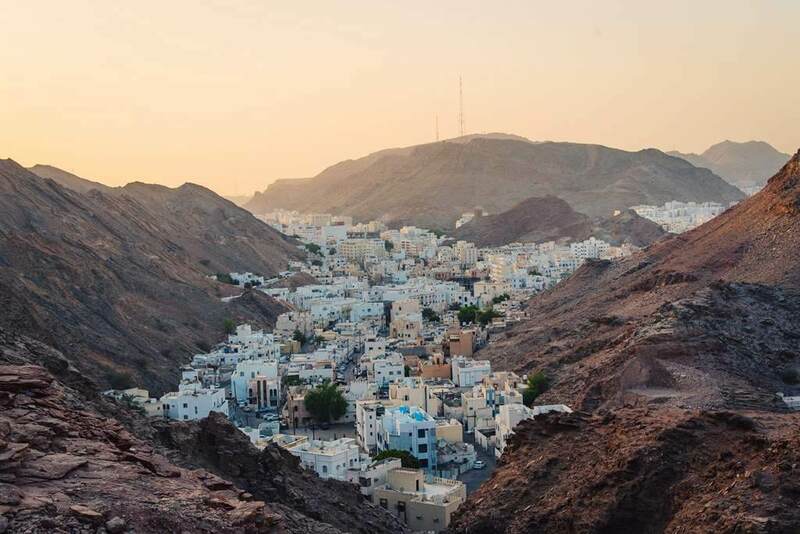 They have two main natural sights in Muscat, the capital, which should make it to your itineraries; Wady Shab and Jabal Shams. The first one is a valley with a lake and small cave that you only get to by swimming in that small lake. The other one is the sun mountain and is nice for a hike. Hiking there is a different type of beautiful because they are Desert Mountains. Muscat also offers great architecture in their Grand Sultan Qabos Mosque, Royal Opera House, and Bait Al Baranda Museum. If you want to taste the famous traditional Omani dessert known as halwa and buy few souvenirs, head to Mutrah Souq. Walking around that area is also lovely because you will get to see the seafront and some of the traditional architecture. Another city you can add is Salah. The weather there is very mild and it’s full of beautiful nature and farms of palm trees. If you are wondering how to move around, when to visit and how to dress and behave in Kuwait, Bahrain, Qatar and Oman; here are some bits of info that will help you plan your trip to the Gulf countries. The cultural customs in all four are very similar. Mostly they are to do with the dress code and the interaction between men and women. Best thing is to dress modestly. Those countries can get really hot in the summer, but certain areas within the countries still expect you to be modest, so short shorts and mini skirts are out of the question unless it is stated otherwise. Wearing jeans and a t-shirt is acceptable for men and women in all four countries. Women are not expected to cover their hair unless they are visiting a mosque. In terms of transportation, these countries do not have a public transportation system, so renting your own car or getting taxis is the only way to get around. Also, keep in mind that no one walks to places because the streets are not built with pedestrians in mind plus it is extremely hot in the summer. You can use Taxi apps like Uber and other local ones there too. The best weather to visit is late fall, all winter, and early spring. In those times you can explore the outdoor activities and some nature sights. It gets way too hot otherwise. Do you have any tips on these countries? 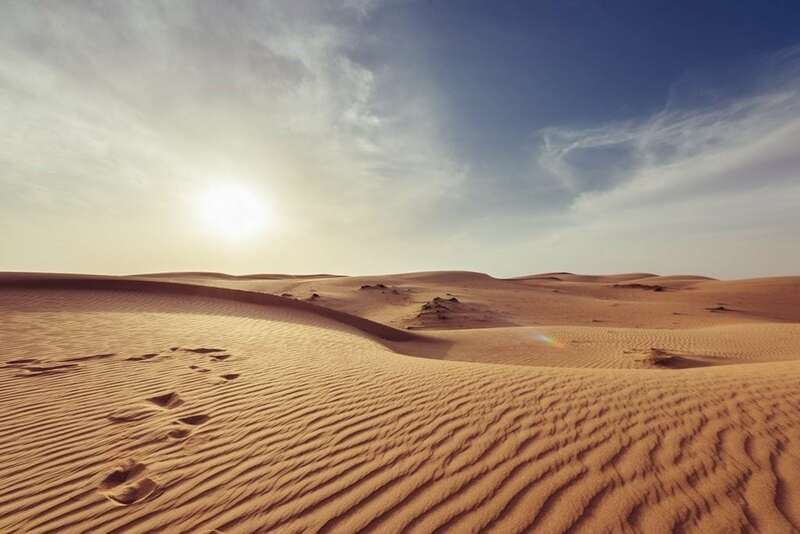 Are you planning a visit to the Arabian Gulf? Let us know in the comments below! Esra Alhamal is a Saudi travel blogger based in London. She shares her travel experiences as an Arab Muslim woman traveling solo or with friends on YouTube and Arabian Wanderess, her travel blog. Esra focuses on Muslim female friendly destinations worldwide and her travel interests are architectural heritage and outdoor activities.